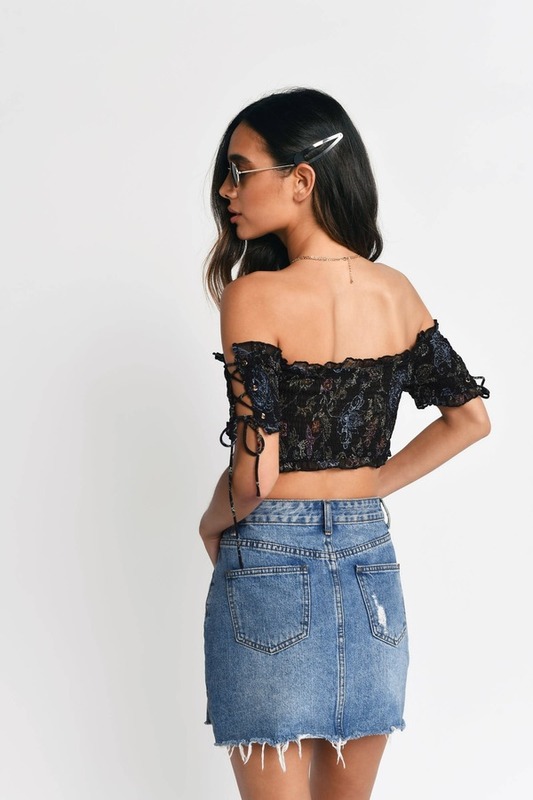 Check out Tobi's Lela Off Shoulder Smocked Crop Top The Lela Black Multi Off Shoulder Smocked Crop Top designed by Tobi features a off the shoulder neckline with smocking throughout, lace up sleeves, and wrapped bodice on a sheer polyester weave! Pair with the Lela Smocked Ruffle Shorts to complete the look! 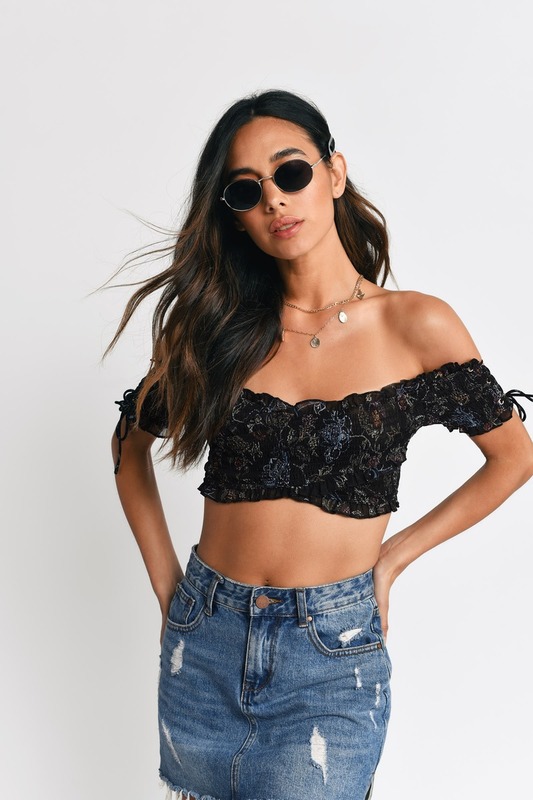 The Lela Black Multi Off Shoulder Smocked Crop Top designed by Tobi features a off the shoulder neckline with smocking throughout, lace up sleeves, and wrapped bodice on a sheer polyester weave! Pair with the Lela Smocked Ruffle Shorts to complete the look!